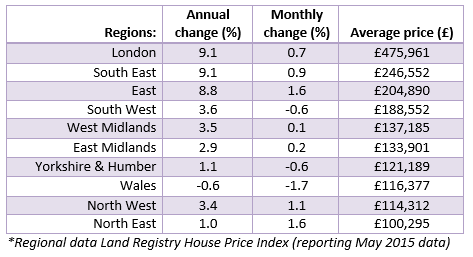 According to LSL estimates from Land Registry, transactions are up 10% in May vs April of this year (typical seasonal pattern) to 67,300 but the number of homes sold during May 2015 is down 14% on May 2015. The anticipated post-election bounce has yet to materialise. 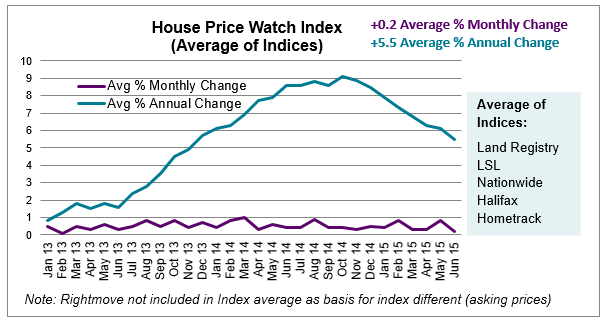 Rightmove report a rise in buyer activity in the past month but the number of properties available for sale are down 8.5% on the same period a year ago. However, the volume of mortgage approvals for house purchases – a leading indicator of future completed house sales– was up 9.9% in April, the highest monthly rise in 14 months; coinciding with competitive activity between mortgage lenders (and good mortgage deals for borrowers). 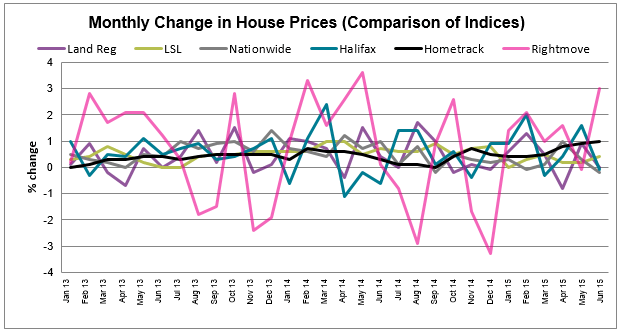 The Halifax Housing Market Confidence tracker suggests greater confidence that now is a good time to buy than to sell.